Take, eat, this is My Body: Do this in remembrance of Me. And so , Father, we partake of this bread remembering our Lord Jesus Christ Yeshua, and the price He paid for our sins. By doing this, as often as we do it, we proclaim His death, till He arrives, and our acceptance of, and our honouring of, His sacrifice for us. In His name we pray, Amen". You then have 1 minute of reflective silence thinking about the 2 terrible whippings and Christ's bruised, torn body, the whippings He took in your place. The Popes Satanic deception is of just a light whipping, when in FACT, Jesus bled to death from 2 severe whippings that left his body looking like raw meat. He bled to death on the Cross, the same way that the Lambs bled to death. The leader after this one minute, then states: "We will now partake of the Wine". 'Do this, as often as ye drink it, in remembrance of Me'. So, Father, we drink of it now, in remembrance of the shed blood of Christ, knowing that as often as we do this, we proclaim and recognize His great sacrifice and proclaim His death till He arrives, and we acknowledge Him as our Saviour and Redeemer. In Yeshua's name. Amen". 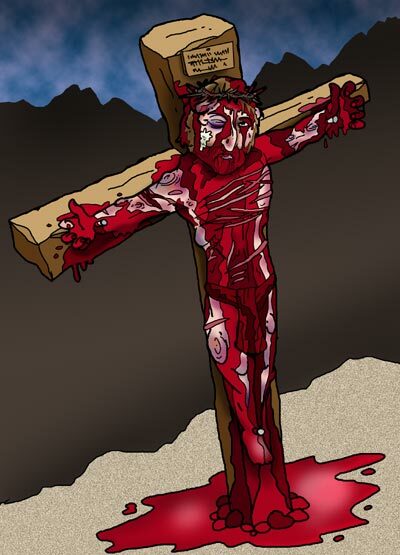 You drink the wine all at once in one gulp, and then have one minute of reflective silence, thinking how Christ bled to death on the stake in your place. You imbibe/drink the above glass of wine in this manner: "Do this as often as ye drink it" during each crescent moon evening meal, as the crescent moon meal is a regular special celebration meal monthly for Christians, and during the celebration meal, you have this tribute/rememberance of Yeshua, who died in your place. That is why the Bible states: "Do this as often as ye drink it", meaning when you drink wine with/during your monthly crescent moon meal, be sure to remember Yeshua, and not just be eating and drinking to/for yourself. The leader after this one minute of silence, then introduces the start of the Kiddish meal, by saying: "All please be seated". 2.) be sure to end your evening with a Hymn. The Obedient Church of God.